Credit card transaction is the use of several types of credit cards by the consumer in purchasing goods and services. Credit cards are issued by providers designed to pay for purchases either online or from local shops. Credit cards can also be used for transferring balance and withdrawing from an ATM. They can also be used worldwide because they are accepted in a lot of places abroad and at home which makes them very hand in every language. Often times, there are charges or fees when using credit cards overseas, so checking your credit card agreement is a must before you go. Knowing how credit card processing functions, where the cash gets off on the transaction itself and where the concealed fees are, you will receive valuable insight on why you should get a credit card. How the credit card processing companies create money for themselves is sometimes be a confusing maze where fees are hidden. There are some participants that play a big role in the process. • The Customer – The beholder or user or owner of credit card. • Acquiring Bank of the Merchant – The financial sector which provides a merchant account. It will handle your bank account’s credit card transaction and will charge a fee which is often called as a discount rate. • Credit Card Issuer of the Customer – The financial sector that gives a credit card to the end user. • The Merchant – Usually known as the vendor or seller or marketer. • The Processor of the Acquiring Bank. The one that merchant bank partners with for sharing their responsibilities. They are also authorized for setting up merchant account, quoting discount rates, and routing credit card transactions to the exact networks. 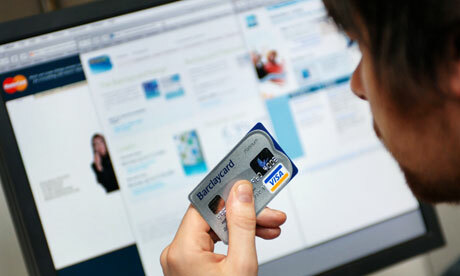 Processors are also the one who manages affairs or interactions between credit card owners and the others. They are also getting paid in a per-transaction fee basis which is also consisted in your discount rate. Usually the credit card process starts with the customer that pays with the credit card, to the merchant that captures the credit card information, and when the card is approved by the issuing bank, the merchant account is going to be credited by the MGI and will submit the transaction of the settlement, back-end processor debits the card issuer account and pays the acquirer, the acquirer funds the account of the merchant, the transaction is posted to the customer’s account by the issuer, then the customer receives statement and pays the issuing bank. There are also two phases in which the credit card processing is taking place. They are called “settlement” and “authorization”. Settlement means the processing of the sale that allocates funds to the account of the merchant from the issuing bank. Authorization is getting the consent in transacting the funds that is stored in the order. Credit card processing is done with a company (payment processor) that the merchant appointed for handling credit card transactions to merchant acquiring banks. There are two-types called the back-end and the front-end in which they are commonly broken down. Front-end processors have connections in several supply authorizations and card associations and merchant banks’ merchant settlement services. Back-end processors take settlements via The Federal Reserve bank, front-end processors, and relocate the money to the merchant bank from the issuing bank.